The 'Road to Rio' Cycling Canada Fundraising Gala at Bear Mountain Resort in Victoria, BC, on March 5th, will raise funds for for technical advancement and investment in athlete development. 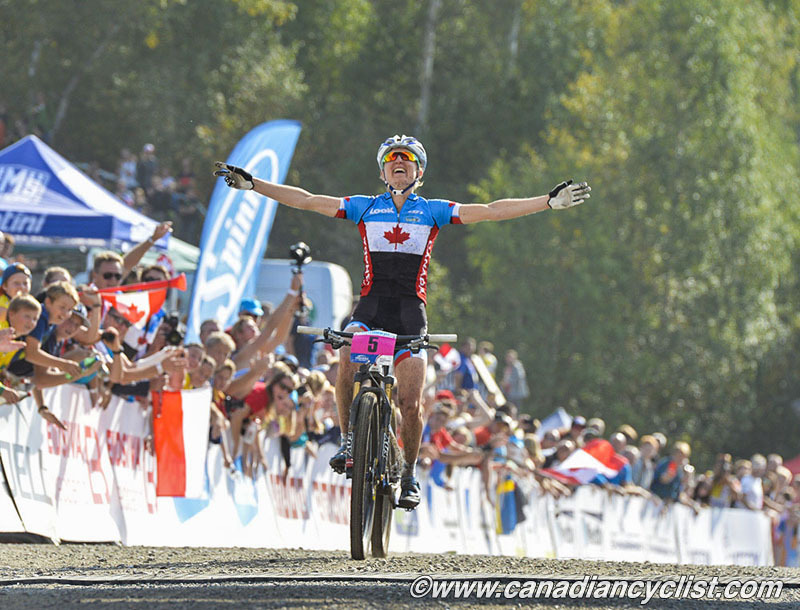 Net proceeds from the event will be invested in Cycling Canada's National Mountain Bike Team program, both at the Elite level as well as Junior and Under 23. Your contribution will directly benefit our athletes in their pursuit of the podium in 2016 while also supporting our next generation of champions targeting 2020 and beyond. A portion of the event proceeds will also be invested in local youth programming through Cycling BC. 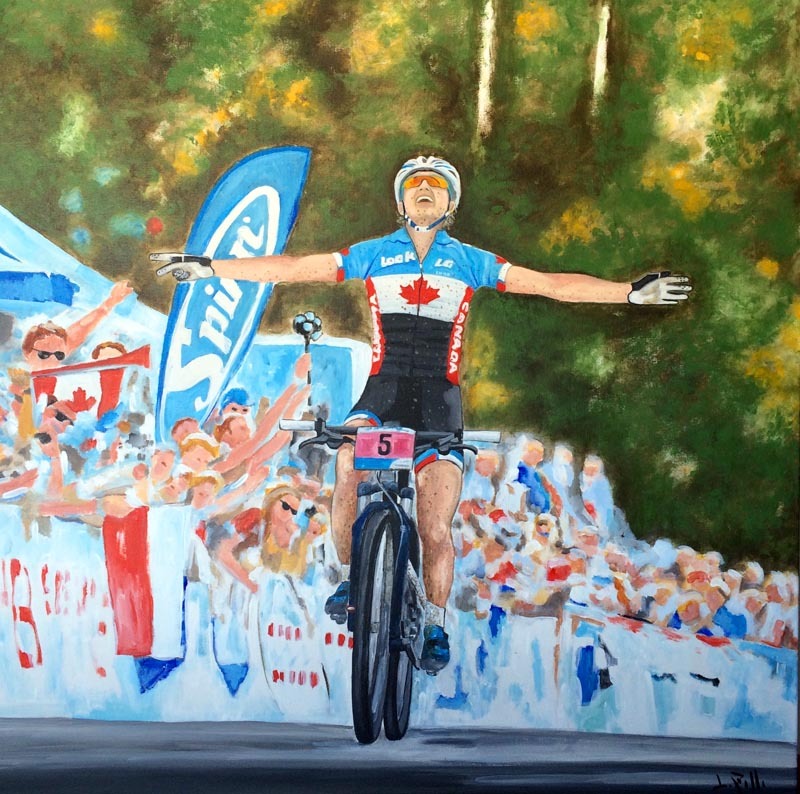 Among auction items will be the painting "Another Gold for Kika", by artist Luigia Zilli (www.bicycleart.ca), based on a photograph by our Editor of Catharine Pendrel winning the 2014 Cross-country world title in Hafjell, Norway. The painting is a 36" x 36" acrylic painting on canvas. For tickets and additional information please visit Here, or contact Matthew Jeffries (matthew.jeffries@cyclingcanada.ca).